Few bonds are as strong as the one between a mother and her son. Robert Dawson has captured this bond in the animal world with his camera. 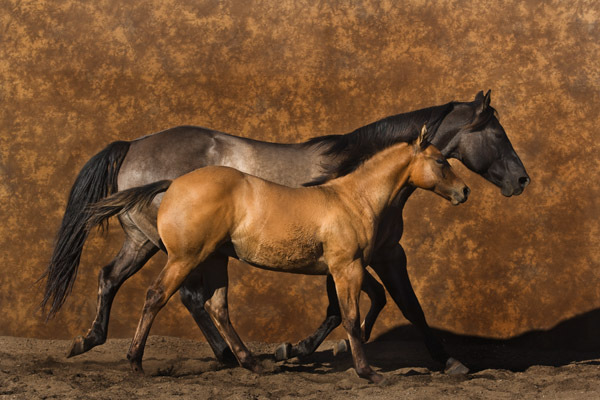 At a slow trot, this protective mother keeps her colt close to her. One day her son will go off on his own, but for now the bond between this mothe and her son will not be broken.